The capacity of the theater hall is 280 seats. 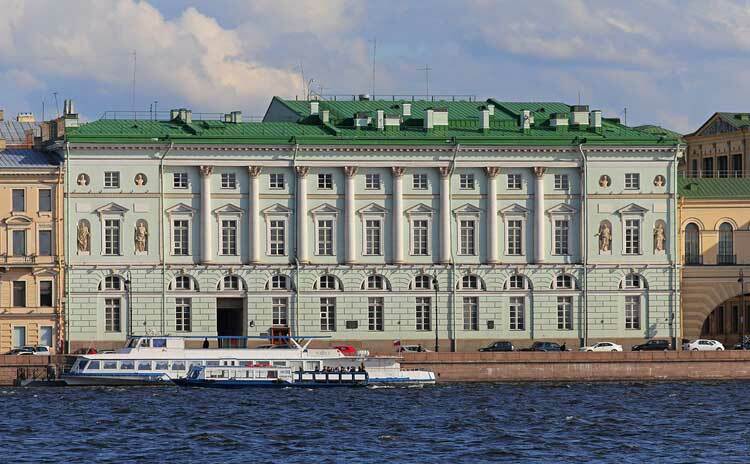 The Hermitage Theater is part of the complex of buildings of the State Hermitage. 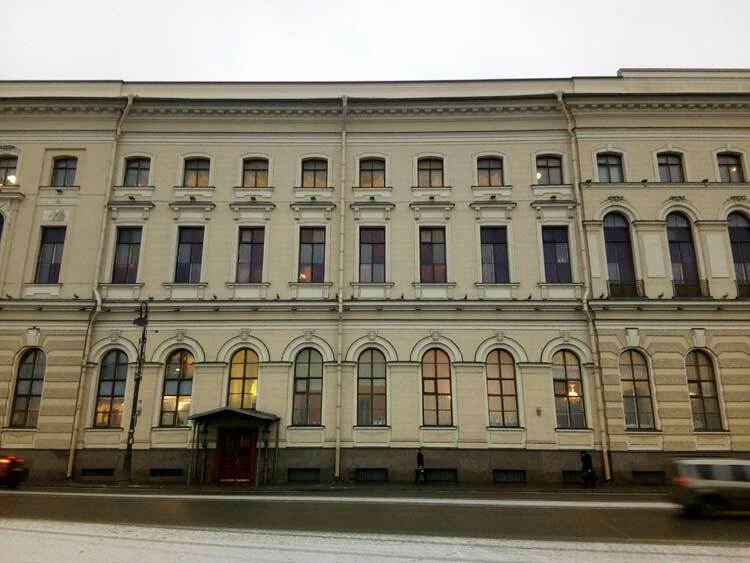 Its facade overlooks the Palace Embankment and adjoins the main palace building with an arch-crossing through the Winter Grove. 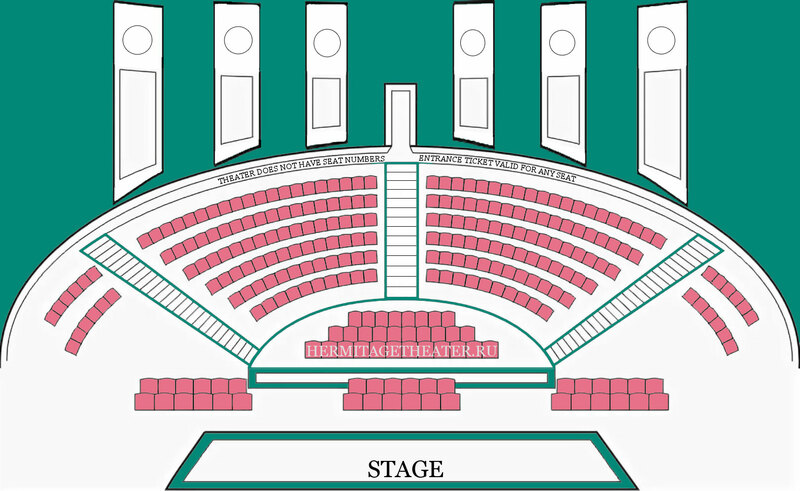 Chamber theater (capacity of only 250 seats), the volume of the hall, the location of the visual rows are due to its original purpose. 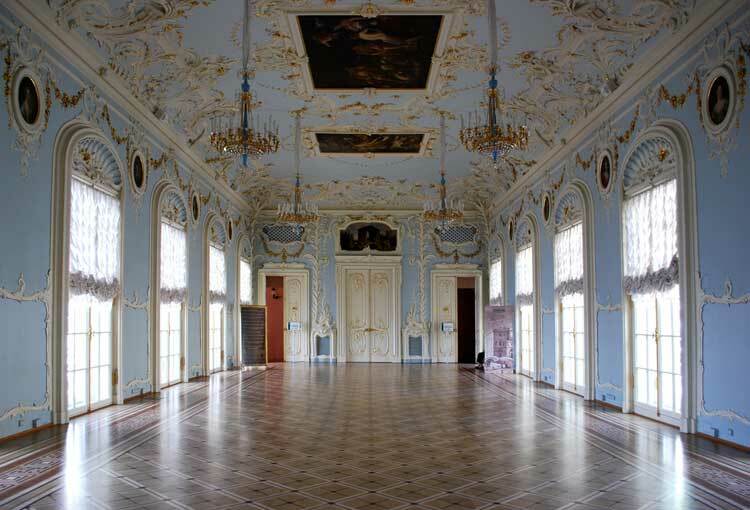 It was built as a court theater, for the imperial family and the elected palace nobility. 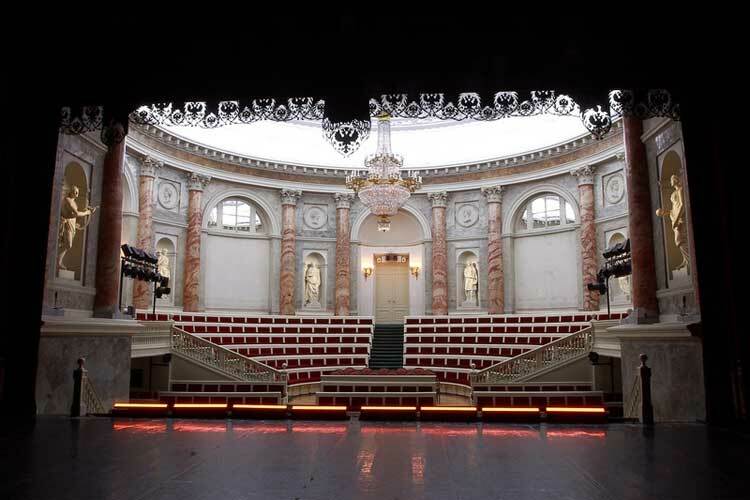 The auditorium itself, the main theater room, is distinguished by the elegance and magnificence of its design and decoration. 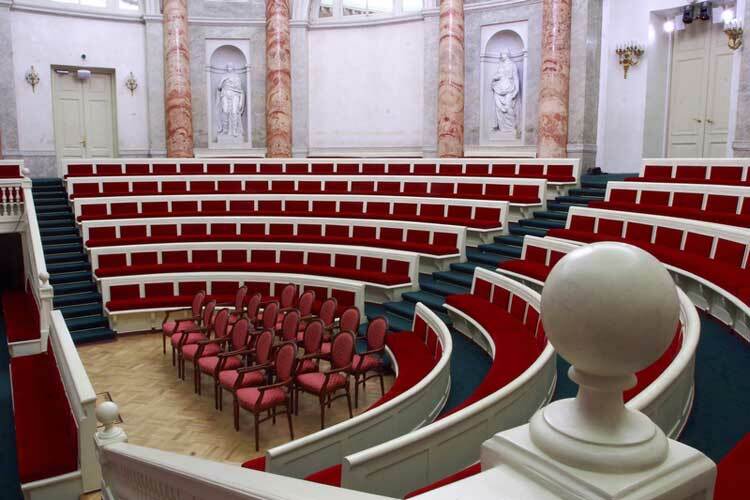 The deep amphitheater of the auditorium, conceived on an antique principle, in its proportions in harmony It is combined with rows of marble semicolumns framing a semicircular hall. 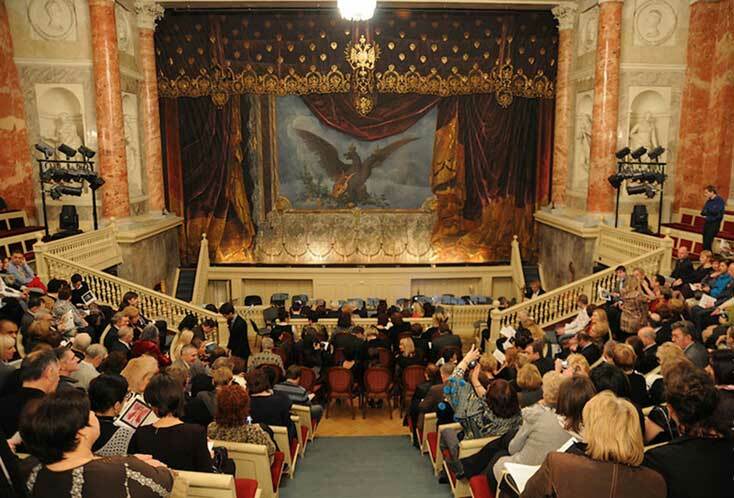 Before the stage there is a small parterre on three rows of seven seats for high guests. Behind the balustrade separating the stage from the auditorium are still several rows of benches and two side lodges. 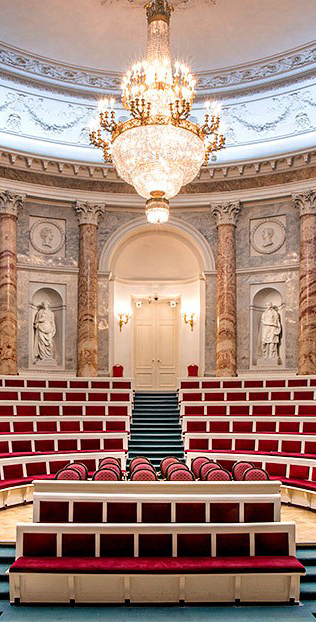 The walls of the auditorium are decorated with marble and decorated with classical sculptures of Apollo and nine muses. There are bas-reliefs depicting famous poets and musicians. Seats of the seats are exquisitely upholstered in red velvet, the floors are carpeted. From the plafond of the ceiling descend Unique chandeliers, gently illuminating the hall. 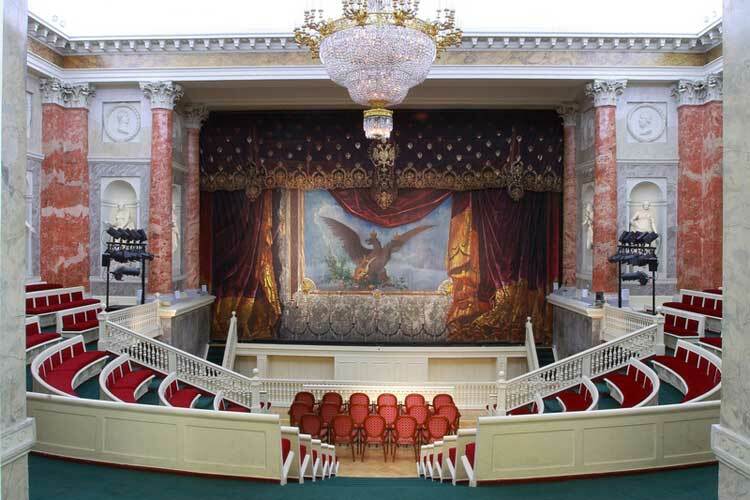 Before the stage an open orchestral pit is arranged, separated from the hall balustrade. Geometric relations of the area of ​​the hall and the depth of the scenic space are unrivaled. 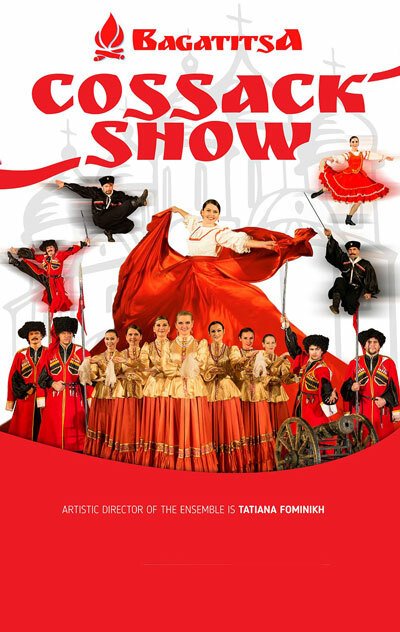 With a small width - the scene is deep enough, allows you to place a variety of scenery and provides artists necessary and large space for space, sufficient for the production of ballet performances. Himself The auditorium is unique, it is insignificant in volume and is located so that does not require the use of theatrical binoculars. Everything that happens on the stage can be clearly seen from any place. 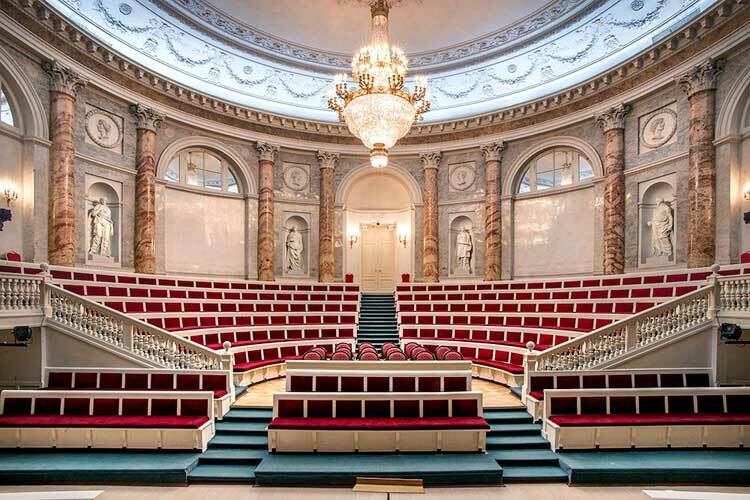 The hall has unique forms and volumes with natural fine acoustics, the sounds of music are clearly and clearly transmitted without distortion, which is undoubted and bright dignity. 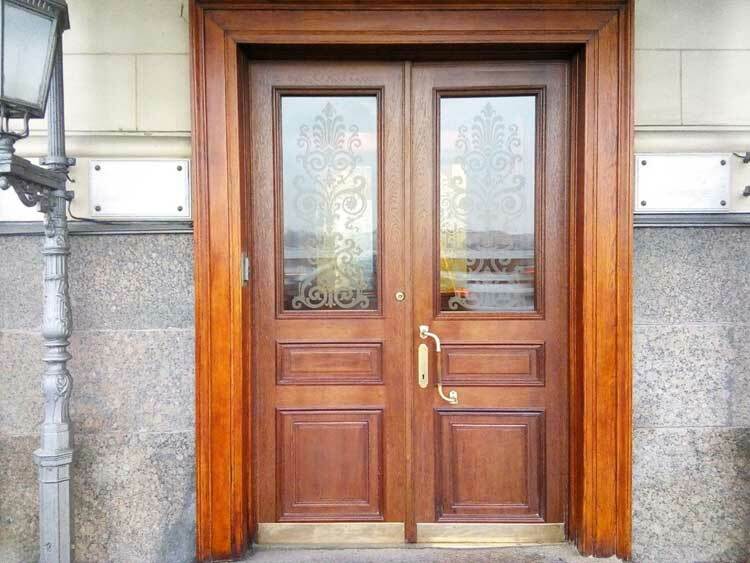 The combination of architectural forms and the achievement of specific acoustic properties premises - a unique feature and natural flair of the architect. Buses: 7, 10, 24, 191, trolleybuses: 1, 7, 10, 11.